Mailbag: Which Team Is Really America's Team? Happy Fourth of July! Aren’t you supposed to be shooting off fireworks? Well, Brandon Vogel, Jacob Padilla and Derek Peterson took a break from that as well to answer your questions in this week’s mailbag. They covered everything from Coach of the Year trophies to staff continuity. Enjoy. DP: Whoever is playing the Warriors. JP: The various Team USAs across the many sports in which our country competes internationally. BV: As much as I hate to say it, probably the Yankees. You’ll find Yankee fans everywhere (unfortunately). Doesn’t hurt that they have a patriotic nickname. DP: I’m going to set it at nine. If they win nine games or more, I would think that would put them in contention for the division crown and therefore they would have far exceeded expectations. FPI has them predicted to go 6-6, so 9-3 given their schedule would be pretty impressive. There’s also a big narrative component; everyone will be paying attention to Nebraska this season. A nine-win Nebraska team would get SO much more coverage than a regular nine-win team. That would be Coach of the Year in my book, nevermind the fact he won it last year. Has there been a repeat winner in recent memory? JP: I think 9 wins would probably be enough to get him in the discussion, but depending on what happens elsewhere he’d probably have to get at least 10 and/or win more than just the division to actually take the award home. BV: It’s virtually impossible to repeat. I did a quick skim of the awards that have been around for more than 20 years and found one repeat winner –– Dabo Swinney in 2015/16. A division title might get Frost nominated, but I think a conference title would be necessary to have even a shot at winning it. These panels just aren’t likely to give it to the same guy in back-to-back years, so it would take a lot to even be in the conversation. DP: Nebraska has some of the nicest facilities you’ll find anywhere. But, if the Huskers are serious about granting Frost’s wishes of a larger roster, they’ll need to expand areas like locker rooms and dining areas. That was something Bill Moos mentioned when we were in Gretna with him. If they bump up the roster size, Moos said they won’t take away from other men’s sports to stay in Title IX compliance, they’d add to women’s sports. They need more space to do that. I also think locker rooms are the next “cool” recruiting thing and that might be one of those two-birds-one-stone situations. DP: Locals won’t view it as an upset, but they won’t be favored when the travel to Iowa City. It won’t matter. I’ve been pretty consistent with my upset pick everywhere else and I’ll continue here: it’s Michigan. Nebraska will go into that game with a psychological edge and catch the Wolverines off-guard. JP: On the positive side, Michigan State is the easy answer considering it’s the toughest opponent the Huskers actually get to play at home. Nebraska hasn’t lost at Northwestern since joining the Big Ten, so if that trend continues that would be another one as the Wildcats will likely be favored. On the negative side, I don’t see this staff letting a Northern Illinois happen, nor do I see a nonconference opponent with enough talent to feel good about beating Nebraska. Maybe I’ve been talking to Brandon Vogel too much, but Purdue might be that upset in Lincoln based on what Jeff Brohm did last year. BV: I don’t know that Northwestern or Iowa will be favored by so much that those games would feel like huge upsets. Not so sure Michigan State will be a heavy favorite by the time it visits Lincoln in late November either, so that leaves me Michigan and Wisconsin as the best potential Nebraska upsets, and I’ll go with the Badgers. It’s a little later in the season than Michigan and there’s plenty of motivation for the Huskers. Going the other way, I want to pick Troy but they have some really key guys to replace. I’m not really sure what to make of Minnesota, but I think that’d qualify as an upset if it happened in Lincoln. DP: I’ll do my best Greg impression here since he’s in Colorado. This will be a top-25 class and Nick Henrich‍ will be the top guy to commit. JP: Nebraska’s low ranking on 247 comes down to two factors. First, they’ve only filled about half their class whereas others are much further along, and raw commit totals factor into class rankings. Second, a lot of the guys Nebraska has landed are in-state and off-the-radar kids. Nebraska hasn’t landed any truly high-profile commits just yet for 2019; Luke McCaffrey‍ is currently the top-ranked commit at 265 overall for 247, while running back Ronald Thompkins‍ grades out highest on the Hail Varsity composite at 90.5, just ahead of McCaffrey at 90.2. 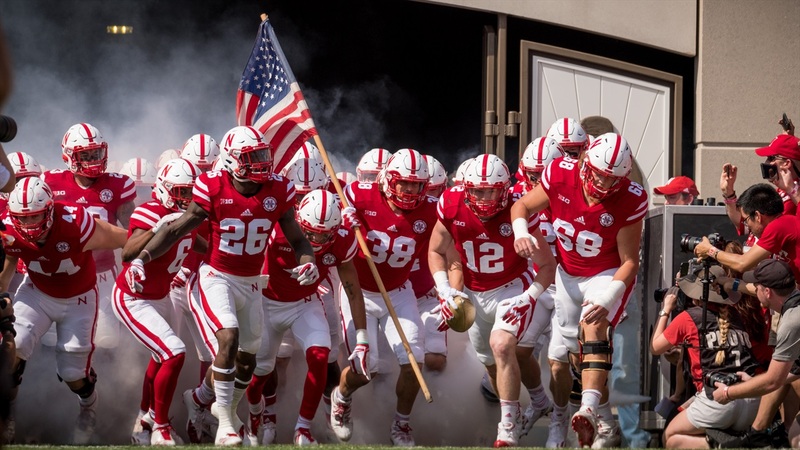 The coaches are still playing catch-up a bit and very well might need to rack up some wins in Lincoln before they can break through with elite prospects. That being said, I do think Nebraska will be able to crack the top 25 by the end of the cycle and I’ll put down Gilbert, Arizona, defensive end Ty Robinson‍ as my guess for the top-ranked commit (He’s ranked 187th on 247 and graded out at 92.6 on the Hail Varsity composite). I, too, think they get Nick Henrich who isn’t far behind Robinson. DP: If I’m picking a guy it would be Greg Bell. But I don’t see one guy getting enough opportunity. Central Florida’s leading rusher last season averaged 6.4 yards a pop and only totaled 790 yards. It won’t be a bad thing in the grand scheme of things if it doesn’t happen. JP: I’ll echo what Derek said: Greg Bell is the most likely candidate but I don’t think he gets there this coming year. However, if Bell has the junior season many expect I don’t think it’s unreasonable to think he could crack 1,000 as a senior. DP: Bookie Radley-Hiles is living up to everything people expected him to be in Norman. He would start from Day 1 on this Nebraska roster. That one is going to hurt for the next three to four years. BV: Might as well make it unanimous. JP: I think staff continuity has been and will be key as the coaches transition to Nebraska and get the program back on track. Eventually, I’ll think they’ll get this thing to the point where they’ll be able to keep on rolling regardless of any staff departures, but I don’t think Frost will have to worry about that for at least a few years. There may be a couple assistants on the team that have higher aspirations, but the loyalty to Frost across this staff is very, very real. It’s going to take an incredible opportunity to lure one of these guys away from Lincoln, but that kind of opportunity will probably present itself if the staff has as much success at Nebraska as many expect.